The ‘big’ allergens, the ‘major’ allergens, the ‘main’ allergens — all terms many of us use to describe the key allergens used and found in food and drink products. But what are they exactly? And are differences between US and EU allergens a potential source of confusion, and hence risk, to food allergy consumers? It’s easy to assume from the above lists that the UK / EU allergens are merely the US allergens plus another six allergens. But closer inspection reveals it’s not quite as ‘tidy’ as that. First, while all cereals containing gluten are considered major allergens in the UK / EU, only wheat is considered one in the US. Barley, rye and oats are not major allergens in America. A consequence of this is that a US product which is free from the 8 major allergens can still contain gluten (from barley / rye / oats) while a UK / EU product free from the 14 major allergens cannot contain gluten (because it excludes all possible sources of it). This is good for those with allergies to these less prominent nuts, or those advised to avoid them on a precautionary basis, but could arguably be needlessly over-cautious in at least one case — that of shea nut, to which no recorded confirmed allergic reaction exists, to my knowledge. I suspect the risks involved in these discrepancies will stem from imported / exported foods whose labelling hasn’t been adjusted according to local laws, slightly careless inaccurate marketing by international ‘free from’ brands on social media, and visits by US individuals to the UK — or vice versa. 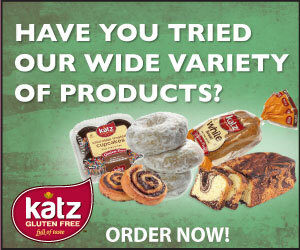 UK coeliacs visiting the US must be careful to stick to only confirmed gluten-free products — wheat-free or ‘major allergen’ free may be insufficient. Those with allergies to lupin, sesame, molluscs, celery, mustard and sulphites, for instance, need to exercise caution too. US food allergics in the UK should watch out for those nuts considered tree nuts in the States and not in the EU, should they be allergic to them. My article on FoodsMatter.com on non top-14 allergens might help. When a brand describes itself as ‘free of the top allergens’ or similar, always ask yourself: do they mean US or UK / EU? Furthermore, oat-sensitive coeliacs should also double check that a brand has not made the common mistake of assuming gluten-free oats are not an allergen in the UK / EU. They are, as I have explained before. At least one US brand — Enjoy Life Foods — continue to make a 14-free claim on social media, despite using GF oats in a few of their products, and despite this error being pointed out to them previously. Never let your guard drop, people: never let your guard drop. Enjoy Life Foods have issued a welcome clarification. You can read it here. Their point, as I understand it, is that they claim to be free of 14 allergens, not necessarily the 14 EU defined allergens (although the only point of difference is with regard to wheat/gluten and the EU gluten-containing cereals). I still think reference to ’14’ could inadvertently mislead some in the EU, but take their point entirely. I do think brands who make products which are free of many food allergens should be welcomed, and am glad to see ELF have such good allergy awareness. None of these include maize/corn, which is a major problem for me – causes me atrial fibrillation. As I understand it, maize/corn intolerance is increasing steadily in ‘advanced’ countries. I could put up with not having it included in lists, but it annoys the hell out of me that just about all ‘free from’ foods contain it. You’d think some manufacturers would see a chance to make extra sales! I live in Australia AND the UK, and have to make my own bread in both countries, because although there is corn-free bread in the UK, it’s like cardboard in texture and taste. Sigh. Indeed, corn a huge issue for many, as it crops up in so many products (including free from products, as you rightly observe) and often hidden (as ‘vegetable starch’ etc). Are you familiar with ABO? (https://www.artisanbread-abo.com). They do grain-free (hence corn-free) breads. (Sorry if it’s one of the cardboardy ones you’ve tried!). I can ask around for other brands if you let me know which you’ve tried and didn’t like?